How can we leverage the creative power of design thinking as a tool for justice? 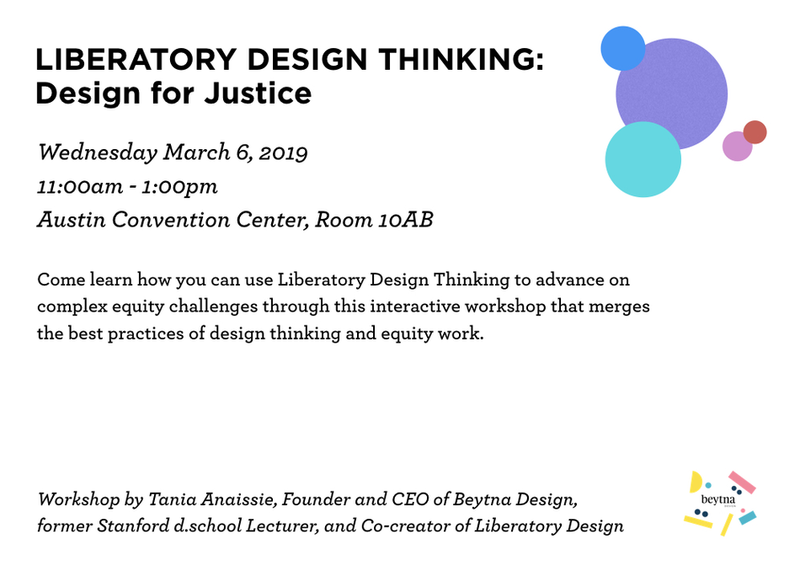 Come explore a new form of design and systems thinking, Liberatory Design, that accounts for oppression, historical context, complexity and power. We will work through an experiential education challenge to practice the Liberatory Design process. These tools will set you up to practice co-design back home and begin tackling complex equity challenges.